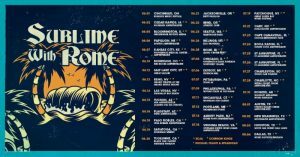 Sublime With Rome announces U.S. Summer headline tour today. The ska-punk trio will hit the road with support from Soja starting June 2nd in Cedar Rapids, IA and ending on August 4th in Dallas, TX. Sublime With Rome will also be performing at major festivals like Bunbury Music Festival, Summerfest, Levitate Festival, One Love Cali Reggae Fest, and more. 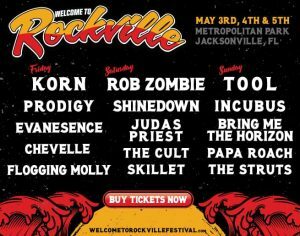 For more information and to buy tickets, visit the band’s website HERE. VIP tickets for the tour will be announced shortly. They will be touring in support of their forthcoming full-length album, Blessings, out this summer via 5 Music/RED MUSIC. This is the band’s third album, which was produced by Rob Cavallo (Green Day, Paramore, Linkin Park), and “Wicked Heart” was co-produced by Rob Cavallo and Andrew Goldstein (Robert DeLong, Blackbear, Lauv). Listen to Sublime With Rome’s most recently released track, “Spiderweb“, off of the upcoming release HERE.